CooksRecipes special collection of family-favorite recipes for cookies, brownies and bars that you can count on for successful deliciousness. 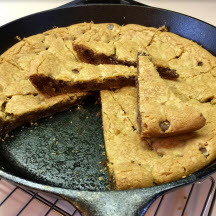 This skillet version of everyone's favorite cookie is sure to please. Browning the butter in the skillet adds incredible flavor. 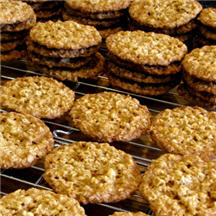 This is a thin, crisp, buttery oatmeal cookie with a hint of orange in every bite. Enjoy them with a cup of hot fragrant tea. 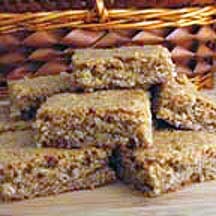 Brown sugar, butter and cinnamon team up with quick-cooking oats to create a scrumptiously chewy oatmeal cookie bar.